Patty Griffin On Mountain Stage In an encore Mountain Stage performance, we revisit Griffin's 2007 trip to West Virginia on the heels of her sixth album, Children Running Through. Hear the entire concert right here. 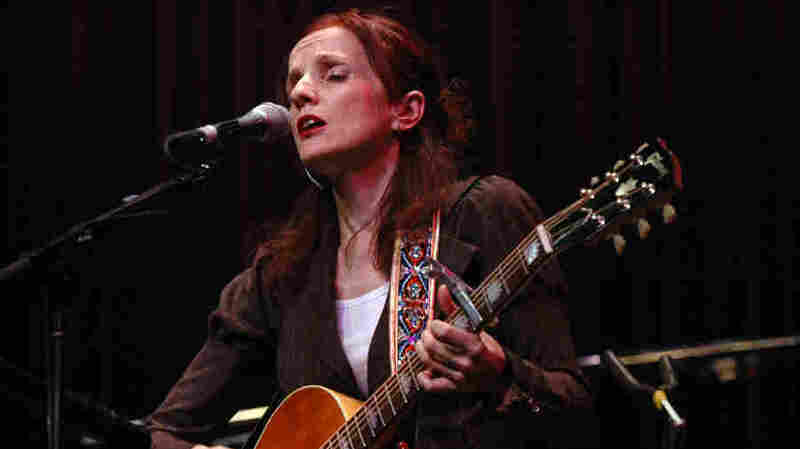 Patty Griffin performs on Mountain Stage. "J'irai la voir un jour"
Patty Griffin's encore Mountain Stage performance was recorded in 2007, in support of her sixth album, Children Running Through. Griffin plays piano and guitar and is joined by bassist Bryn Davies and guitarist Doug Lancio. Known for her well-crafted songs and powerful, gutsy vocals, Griffin emerged in 1996 with her album Living With Ghosts and has released six more albums since. Her songs have been routinely recorded by Emmylou Harris, Martina McBride and the Dixie Chicks, among others. In addition to her original material, she wraps her distinctive vocals around "Get Yourself Another Fool," by the seminal soul singer Sam Cooke. In 2010, Griffin released Down Town Church, a collection of gospel songs produced by roots music luminary Buddy Miller. Recently, Griffin has been on the road alongside Miller as part of Robert Plant's Band of Joy.